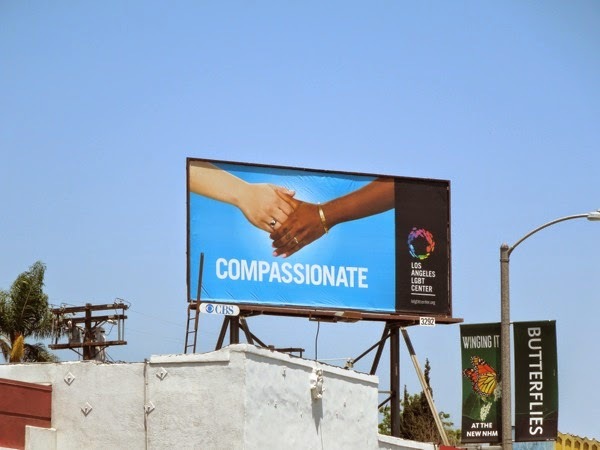 With LGBT Pride month drawing to a close in the U.S. (once again thank you President Obama for making this happen), Daily Billboard couldn't let this celebration go past without highlighting the work of one of the organisations actively helping to make gay, lesbian, bisexual and transgender people's lives better in our community. 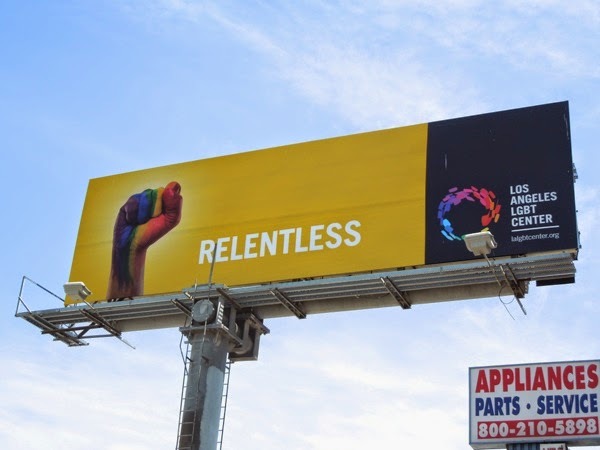 The Los Angeles LGBT Center has cared for, championed and celebrated the LGBT communities of L.A. since 1969 and now it's rolled out this billboard campaign with its new logo and a continued commitment to being the world's largest provider or programs and services for LGBT people. 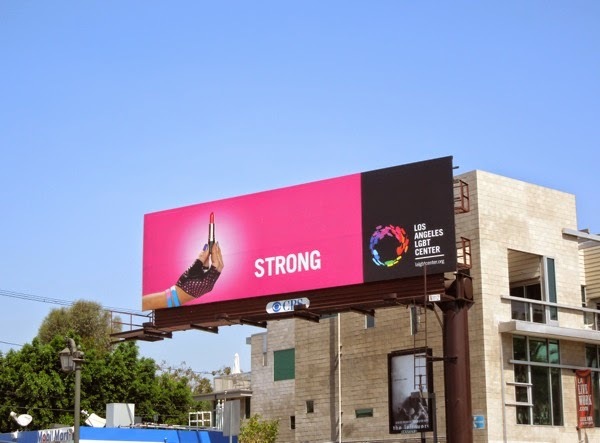 This simple and colourful 'hands' campaign is a clever approach as it highlights the core brand values and attributes of the organization, Compassionate, Courageous, Inspirational, Strong and Relentless, plus the wealth of diversity the center supports, all genders, ethnicities, young and old. 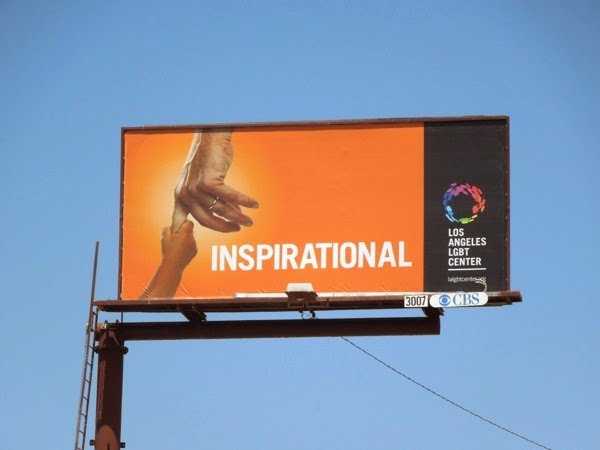 By using the universal imagery of hands everyone can identify with the concept, overcoming the problem of anyone objecting to the choice of model used if their face didn't connect with the passersby. 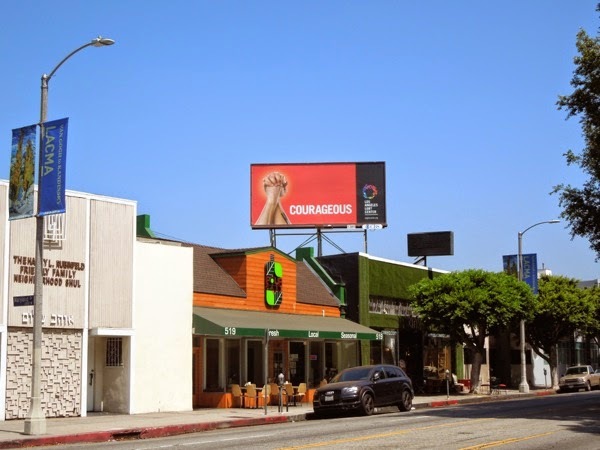 These vibrant billboards filled with positivity were spied around the streets of L.A., along Highland Avenue, Beverly Boulevard, Melrose Avenue and Fairfax Avenue, from June 4 to June 20, 2014. 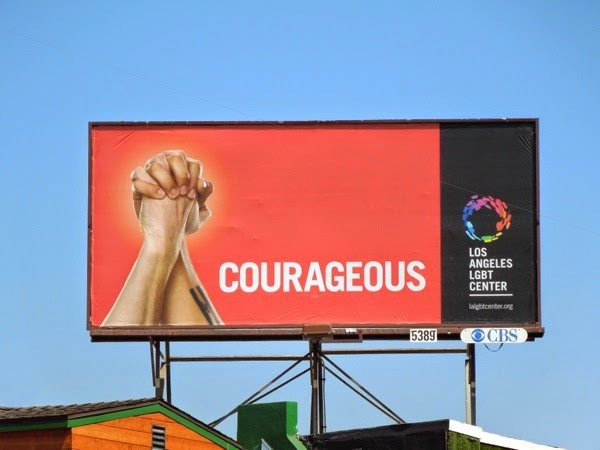 For another organisation helping to educate, protect and care for the LGBT community, be sure to also take a look at these AIDS Healthcare Foundation sexual health billboards. 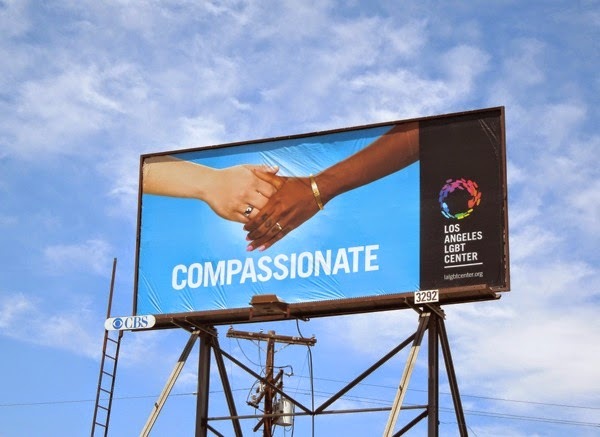 Thanks to the Los Angeles LGBT Center for all the wonderful work they do and be sure to visit their website for more information.